Amore Beds warranties that your Amore Beds brand products will be free from defects in material and workmanship that may compromise sleep quality for up to 20 years (Hybrid) and 10 years (Flippable). This Limited Warranty gives you specific legal rights and you may have other rights which vary from state to state. This Warranty extends to mattresses manufactured by Amore Beds and purchased directly from an authorized Amore Beds retailer. The Amore Bed is designed to work on a firm or solid supportive surface that is structurally capable of supporting the weight of the mattress and the user(s). Please review our FAQ’s if you are unsure of what proper supportive base or frame should be used. The Limited Mattress Warranty extends to the original purchaser and is not transferable. Please retain a copy of your receipt as a proof of purchase. Severe impressions that exceed 1” in depth below the normal side-wall level will be covered by this limited warranty. These impressions must be visible and permanent. Any physical flaw in the mattress that causes the material to split, crack, or decompose with normal usage and proper handling. Your mattress is designed to conform to your individual contour. Your sleeping position may result in a “body impression” which is normal and not considered a structural defect. An increase in softness or a decrease of recovery time. These characteristics do not affect the pressure-relieving qualities of the materials. This Limited Mattress Warranty does not cover a change in comfort preferences or medical requirements. This Limited Warranty does not cover your product if you use it in a manner that is not for its intended design. 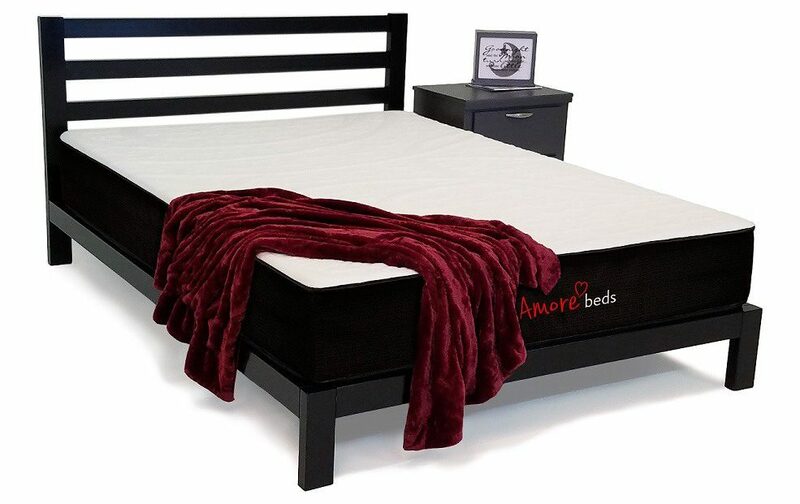 Amore Beds reserves the right to refuse repair or replacement and invalidate this Limited Warranty if it is found to be in an unsanitary condition or if failure was due to causes other than defective material and/or workmanship. Proper use also includes using the mattress on a firm, rigid, and smooth surface that allows air ventilation and supports the entire mattress including the center. Physical damage or abuse including but not limited to cuts, burns, liquid damage, humidity, or stains are not covered. If only one component of the mattress is deemed to be defective (such as the cover), we reserve the right to repair or replace only the defective component. This Limited Warranty does not cover mattresses sold by resellers or unauthorized retailers. It does not cover mattresses sold “as-is”, preconditioned, reconditioned, used, returned, previously owned, or any other wording indicating that the mattress is not “new” or of “first quality” or previously purchased or used by another customer. Insignificant damage or blemishes that do not hamper the functionality of the mattress are not covered under the warranty. In the event of a defect, Amore Beds reserves the right to repair or provide a repaired or replacement mattress or mattress cover upon fulfillment of your responsibilities of the warranty claim. Colors, patterns, materials, or textures may be different from what was originally purchased. If a replacement mattress is required, you may / will be required to pay the difference in the full price of the mattress compared to any discounts or promotions that you may have received upon purchase. There are no returns on Custom Size Orders or orders made per customer specifications. Amore-offered options are not considered custom orders. Faults in the cosmetic appearance such as wrinkles on the fabric, cosmetic changes that naturally occur over time including blemishes. Mattress dimension discrepancies including length, width, and height. Apearance of mold or infestation with vermin due to unsanitary care of the mattress. We do not guarantee your new mattress will not have a scent. All natural man-made materials can have a scent associated with it and often do. None of our materials carry a toxic emission based on a 3rd party verification. A naturally occurring scent is not a warranty issue. Using the Amore mattress for any commercial use i.e. Hotels, motels, rental properties, hostels, dorms, schools, shelters, rooming and boarding homes, bread and breakfasts, airBnB properties, etc. If the event of a defect arise and in order to get the benefit of this limited mattress warranty, you must be able to provide the original date and proof of purchase. You will not be responsible for return shipping costs, but you may be required to send evidence or pictures of the defect claim that falls under our Limited Mattress Warranty. All claim requests must be filled out in their entirety and sent to the address specified. If you wish to upgrade your warranted mattress with a more expensive mattress, then please e-mail us from the contact page. You will be required to pay any difference between the original purchase price and the upgrade purchase price. Amore Beds will pay for the shipping of your first mattress repair or replacement. You will be responsible for additional shipping costs for additional repairs and/or replacements. Amore Beds will ship your repaired mattress or upgrade back to you within 30 days of receiving your original mattress. A repaired or replaced mattress will carry the same Limited Mattress Warranty as the original mattress. For example, if you obtain a repaired or replaced mattress, then the warranty terms of that repaired or replaced mattress continue with the warranty date of the original purchased mattress. If a replacement mattress is required, only one will be allowed per order. In the case of a Mattress that is packaged in a compressed and rolled manner, also referred to as a “bed-in-a-box,” your Mattress Warranty is valid if your product was opened within two (2) weeks of receiving the Mattress to prevent compression for an extended period of time. A Mattress that is compressed for a prolonged period may incur structural damage and/or condensation from being packaged for an extended period of time. 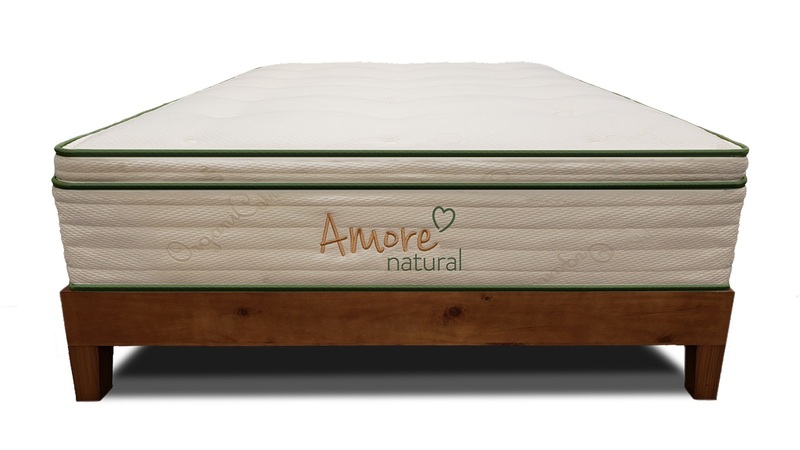 Amore Beds makes no medical or health claims regarding its Mattresses. Allergies, discomfort, or other conditions, are not covered under this Mattress Warranty. Any questions or concerns regarding medical or health conditions should be addressed by a licensed physician. This Limited Mattress Warranty excludes any and all implied warranties on Amore Beds mattresses, including any warranties of merchantability or fitness for a particular purpose. The service and terms stated in this limited warranty shall be the consumer’s sole and exclusive remedy in the event of product failure during the warranty period. 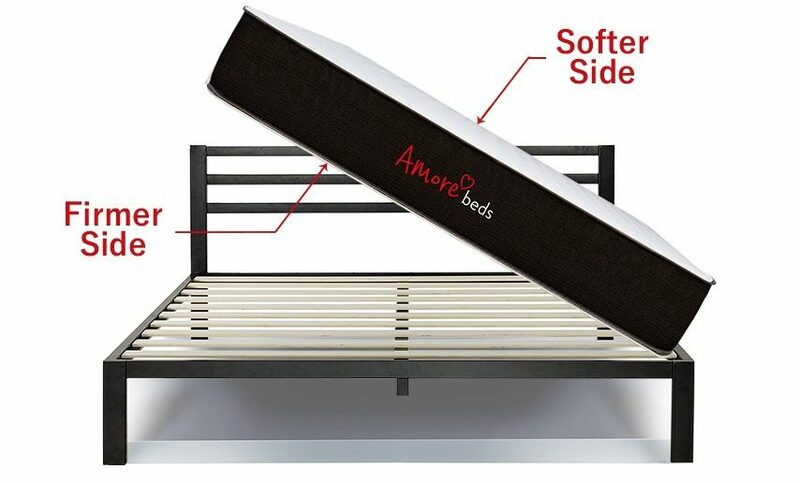 Amore Beds shall not be liable for incidental or consequential damages arising out of the use or inability to use this product, or the breach of this or any other expressed or implied warranty. Amore Beds does not warrant that their products are suitable for any person’s medical condition. Amore Beds does not make any warranty beyond what is contained in this limited warranty. To the extent permissible by applicable law, the mattress is provided “As-Is” and this warranty and any implied warranties are your exclusive warranties and replace all other warranties or express or implied conditions. Some states or jurisdictions do not allow exclusions on implied warranties, so the above exclusions may or may not apply to you. This Limited Warranty gives you specific legal rights and you may also have other rights which vary from state to state. Some states do not allow exclusions or limitations of incidental or consequential damages, so the above limitations and exclusions may or may not apply to you. We do not offer any warranty or sleep trial on 1st or 2nd hand donated mattresses. This includes any mattress that was donated to a charity, provided as an act of charity, or processed as a return item. During the first ten (10) years of the Mattress Warranty, Amore Beds will not charge purchaser to repair or replace purchaser’s mattress if it qualifies under the Amore Beds Limited Warranty. This period is non-prorated which means that Amore Beds does not charge a percentage of the repair costs or replacement product based on the amount of time you slept on the mattress prior to noticing a defect. 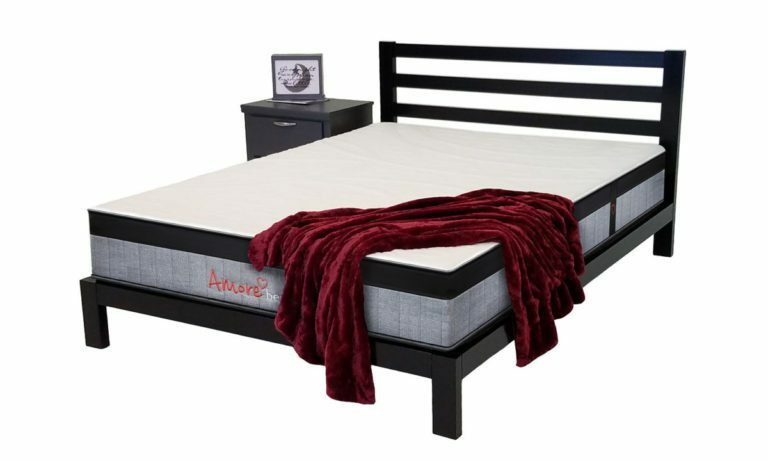 During years 11-25 of the Mattress Warranty, Amore beds will, at its option, replace the mattress at a prorated charge to the purchaser in addition to transportation and/or shipping charges. The prorated replacement charged will be dependent on the year that the Mattress is replaced. If the Mattress is replaced during the eleventh (11th) year, the prorated replacement charge the purchaser pays will be fifty (50) percent of the original purchase price. If the Mattress is replaced after the eleventh (11th) year, but before the twenty-first (21st) year, the prorated replacement charge the purchaser pays will increase by five (5) percent for each subsequent year of the prorated period (i.e. 55% of the original purchase price if replaced during year twelve (12); 60% of the original purchase price if replaced during year thirteen (13), etc. If the mattress is replaced in year fourteen (14) or any point thereafter prior to expiration of the Mattress Warranty the prorated replacement charge will be 95% of the original purchase price. The replacement will be of the same model and size as the original Mattress purchased. In no event will a substitution model be used as a replacement except in the case of a discontinued Mattress. In this event, a Mattress of like build and design, at Amore Beds’ discretion, will be used as a replacement for the defective Mattress. TO THE MAXIMUM EXTENT PERMITTED BY APPLICABLE LAW AND EXCEPT AS SET FORTH IN THIS LIMITED WARRANTY, IN NO EVENT WILL AMORE BEDS OR ITS SUPPLIERS BE HELD LIABLE FOR THE PROCUREMENT OF SUBSTITUTE PRODUCTS OR OTHER SPECIAL, INCIDENTAL, CONSEQUENTIAL OR INDIRECT DAMAGES ARISING OUT OF OR RELATED TO THE MATTRESS OR ITS USE BY YOU OR ANY THIRD PARTY, WHETHER UNDER THEORY OF CONTRACT, TORT (INCLUDING NEGLIGENCE), INDEMNITY, PRODUCT LIABILITY OR OTHERWISE. THIS LIMITATION WILL APPLY EVEN IF AMORE BEDS HAS BEEN ADVISED OF SUCH DAMAGES AND NOTWITHSTANDING THE FAILURE OF ESSENTIAL PURPOSE OF ANY LIMITED REMEDY. AMORE BED’S TOTAL LIABILITY WILL NOT EXCEED THE PURCHASE PRICE PAID FOR THE MATTRESS GIVING RISE TO SUCH LIABILITY. In the event that a dispute arises between you and Amore Beds in regards to this Limited Warranty, such dispute will be determined and settled by binding arbitration between the parties in accordance with the Commercial Arbitration Rules of the American Arbitration Association (AAA). You can find more information about the AAA at www.adr.org, or you can call them at 1-800-778-7879. Arbitration will take place in Chicago, Illinois. This Limited Mattress Warranty will be governed by the state laws on Illinois.